It's been a while, but I've finally gotten back in the rhythm of running and working out again. Back in the day, I used to keep track of miles, calories consumed, calories burned, weight, etc. in a journal I kept in my gym bag. Now I find it easier to keep track of that data and more with the fitness applications, software, and gadgets available on the market. 1. It had to keep track of important data such as distance covered, pace, calories burned, etc. 2. It had to function well as a standalone application. I shouldn't have to purchase additional equipment for it to provide basic functionality. 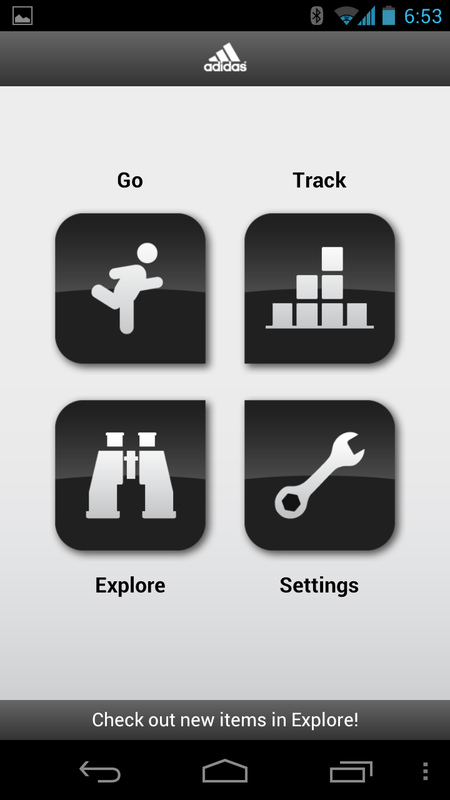 I was drawn to two applications immediately and decided to try both of them out: Nike+ and miCoach by Adidas. 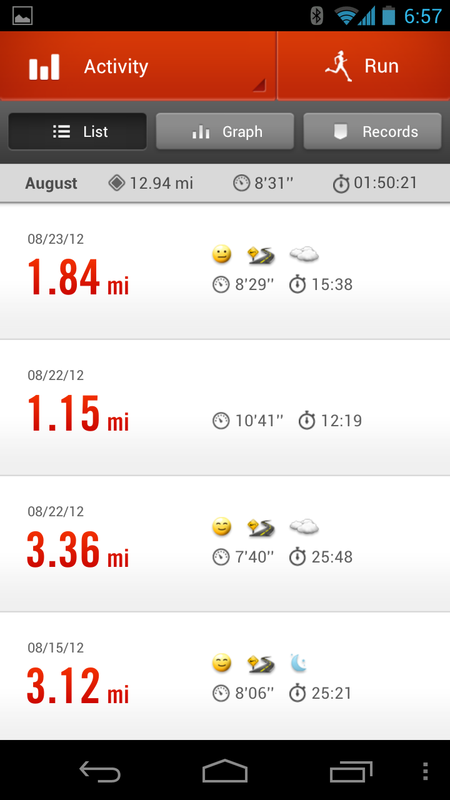 I tried Nike+ first. It has a slick layout (as you can tell in the pictures below) and keeps track of relevant information. It also provides intermittent feedback at various milestones for time, distance, and calories. It's social integration is fairly well thought-out as well, allowing you to keep track of and share your data and routes with your other members of Nike+ and/or your social media community. It even allows you to share when you begin a workout so you can get cheers from your friends on Facebook and Path. Although I think the cheers feature is gimmicky, I'm sure it provides additional motivation for some. The killer feature with Nike+, however, is the ability to choose a "Power Song" that plays at the times when you're trying to overcome exhaustion to make it to that next major milestone. Also, you can create and join challenges and invite your friends to join. For the basic functions I needed, this application does the job. 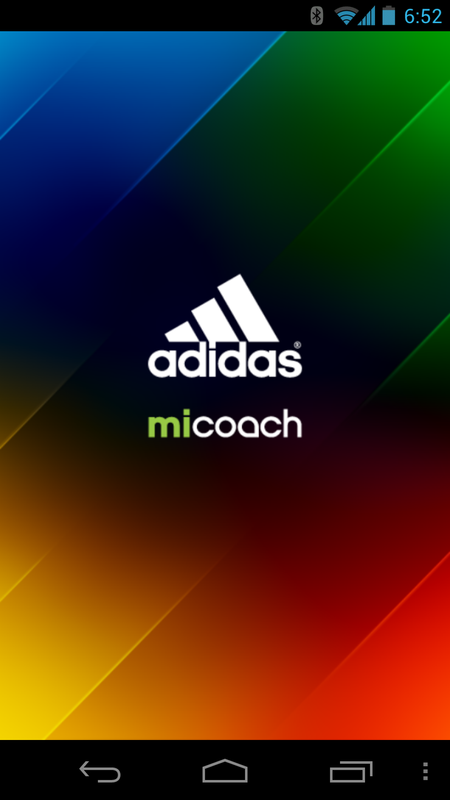 Next up, miCoach by Adidas. Let me go on record and say, I really like this application. I mean, I really really like it. Sure it doesn't have the gloss and polish of Nike+, but it suits my needs better. But, as far as the general use of the application is concerned, Adidas has done it's homework. 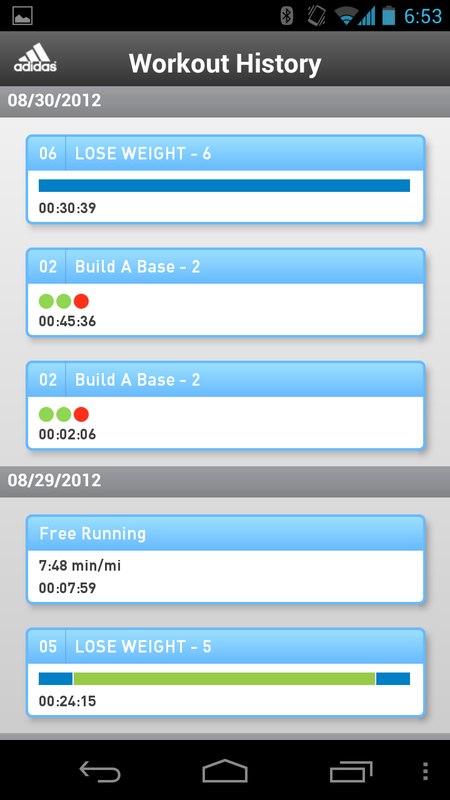 It does keep track of the key metrics I find important in a training regimen. But they go a step beyond and allow you to choose pre-configured workouts or create your own (both for the streets and the gym). They include specialized programs for weight loss, lean muscle, muscle definition, base building, increased speed, increased strength, etc. Voice feedback is provided throughout the entire workout rather than just at milestones, telling you when you're on pace and when you need to speed up or slow down. For gym workouts, they provide animations to show you how to correctly complete each exercise. This combination of features will help minimize the tendency to under or overtrain. After just a few days with miCoach, I've officially retired the Nike+ application. What other fitness apps are you a fan of? I'm willing to try them out.